How to convert DVD to AVI? How to convert DVD to AVI with Xilisoft DVD to Video? 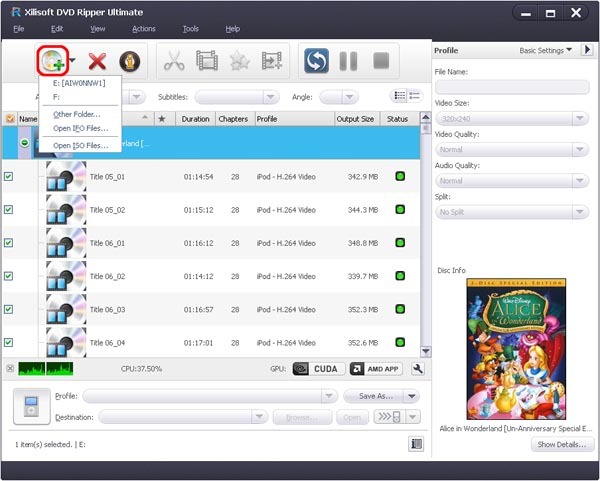 Some users may need to convert their DVD movies to AVI. So they can keep it as a backup on hard disk or share across the Internet. Another reason why we convert DVD to AVI files is to prevent surface scratch of DVD disc. Additionally, AVI video format stores the same data in less than 25 percent of the space and can be supported by most TV players. Now you can freely backup DVD movies in AVI format, once own the powerful DVD Converter software. Follow the 1-2-3 steps, you will find the conversion from converting DVD movie to AVI is so easy and fast. Step 1. Download Xilisoft DVD to Video and install it to your PC. Then load your loved DVD disc from targeted drive. Step 2. After loading the DVD movie, you can convert DVD with three main modes. One is title mode (converting the whole DVD to one file), one is segment mode (converting video clips), the other is chapter mode. If you convert in chapter mode, you will get a file for every chapter. When the list box displays the titles not chapters you can convert the whole DVD into one file. 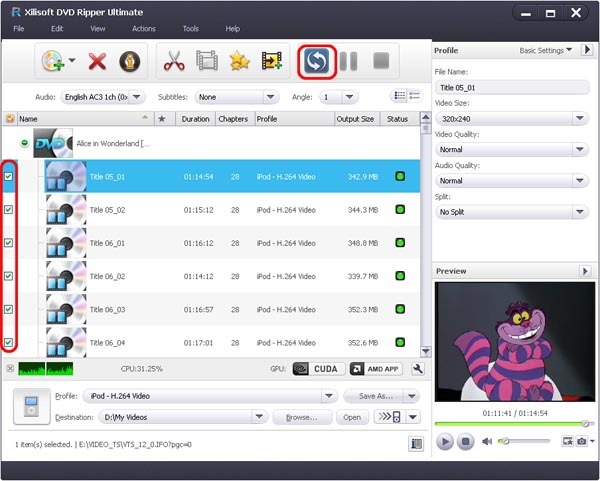 If you'd like to extract video clips, just set 'Start Time' and 'Duration' to convert the segment. Step 3.Choose "AVI" video format from the video format list, and click the Convert button to start the DVD to AVI conversion. Follow the 3 steps, you will be able to back up your DVD movies to hard disk and enjoy them anytime. Xilisoft DVD to Video also supports iPod, iPhone, iPad profiles. More information at:Convert DVD to AVI. Why Use DVD to Video? How to convert DVD movie to MP4? How to convert MOV to AVI? How to convert FLV to AVI? How to Convert RMVB to AVI? How to Convert WMV to AVI (DivX)? How to convert HD videos to AVI on Mac?